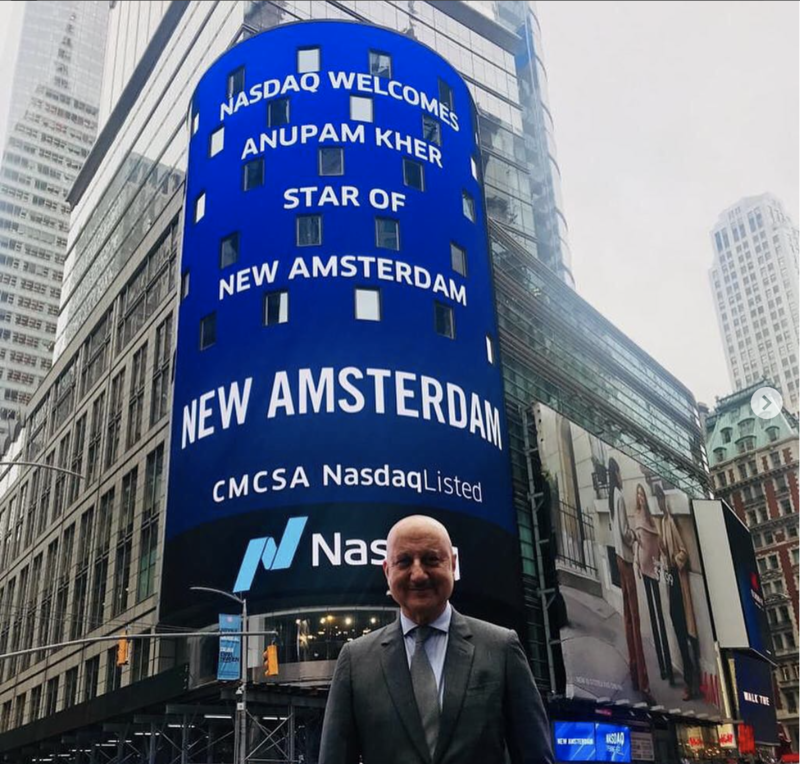 With over 520 films to his name, Anupam Kher has created memorable performances and characters in India and the world over. With each film he proves that he was born to be an actor and his performances have earned him rave reviews and fans from all over the world. What may surprise you is that even after 520 films, he still wants to learn, grow and experience new challenges in acting. 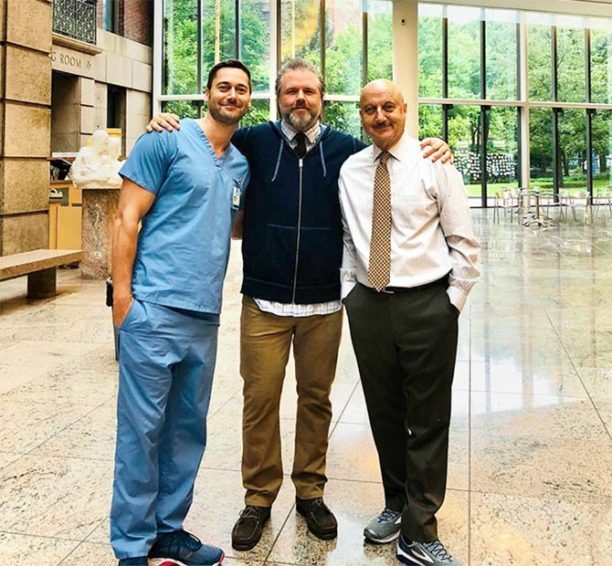 Taking a challenging leap as an actor and allowing himself to go somewhere new, the actor is now starring in the NBC television medical drama New Amsterdam. With this role, Kher has jumped into this new world with fervor and in his own words, “become a newcomer”. 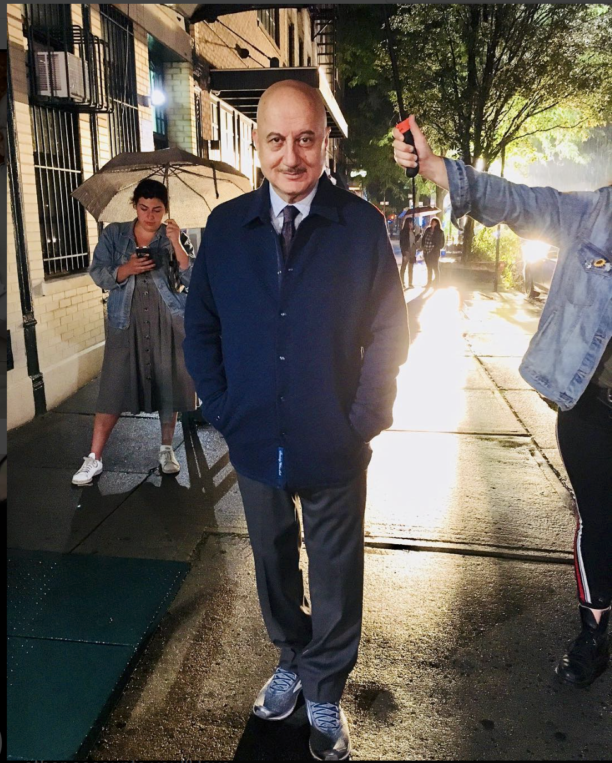 Last Sunday afternoon Anupam Kher took time out of his busy shooting schedule to talk with Stacey about this new direction, the experience of working on an American television series and why he thinks New Amsterdam is such an important and special show! Well, I was shooting for a film called Singh in the Rain in LA and my agent said the makers of this series, which is David Schulner, Peter Horton and the director Kate Dennis, want to meet me about an offer for the show. At that time, there was another offer, which had come from CBS – a pilot offer. So I met them and I liked them as people. I also liked the pilot episode. They said we would be very happy if you think of doing our show. So I had to choose between the two of them, so I chose this because it had an international cast. And I loved the script very much. I play one of the 6 leads. My characters name is Dr. Vijay Kapoor. I am a neurologist who has been in the New Amsterdam Hospital for the last 25 years and is the most senior doctor. In the last few years, I’ve been wanting to sort of make a shift from India to do something different and something with more difficulty. So I thought they best way to do that is to pick up a series. A series is a constant process. 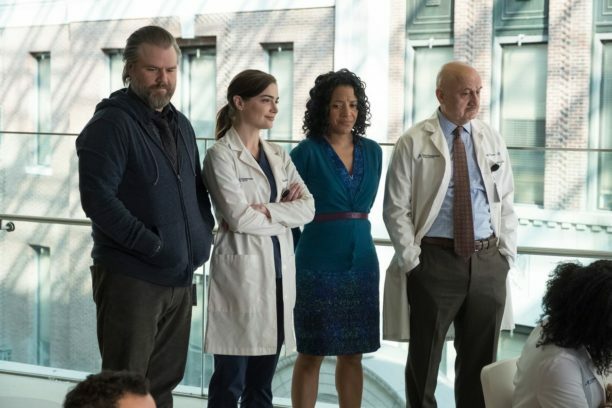 Also that this is a medical series made me want to do it. I know I do English movies but see, I don’t think in English, I think in Hindi so that added to the challenge. I was easing out my work in Bollywood and the only film I had was The Accidental Prime Minister. I know that you keep planning things, but things do happen when they have to happen. Also, you know this “tag” that you get with the years that you have spent in the industry and it’s not necessarily for the work you’ve done – thespian, legend and all those things – this is just a way of telling you to retire. But I am far, far away from retiring. I wanted to do something, which challenged me as a person. See I think when you are complacent you can never be brilliant. That is what I always feel. And I was getting very complacent in Hindi cinema… I could have worked for another 25 years or as long as I wanted to, but I wanted to feel like I am a newcomer – that all the challenges are new not only as an actor but also as a person. So I will say I am a newcomer who is a little comfortable financially. Was the dialog challenging, especially the medical terms? It was the most challenging thing in the world. Oh my God! It’s a killer! Killer, killer, killer, killer! As it is I am struggling to sort out the deal with the English language part of it and on top of it I have medical terms in the dialogues, which never in my life did I know. But that is the fun part of it. It is like being a student. I am like a student. Can you imagine being a student at the age of 63? It’s the most amazing feeling. When I shot for the pilot, I told the producers that this will be picked up because we need a medical drama, which has more compassion. The nobility of the medical profession needed to come back and this is what this whole series is about. It based on a real book by Eric Manheimer titled Twelve Patients: Life and Death at Bellevue Hospital. I think, all over the world, we need to get back to a medical profession where people need to think of the patient more than the bills. The whole medical system needs to get that way. It has been amazing. We have done about 5 episodes starting 6 tomorrow. The show premieres on NBC on September 25th. It has been great. There is a great cast and wonderful people and luckily that is a bonus. I think that’s a bonus because one learns to act in any circumstances, but we have both wonderful people working both behind the camera and front of the camera. We have had some amazing nurses on the set. We have amazing specialists on set. We have an amazing cast – wonderful, warm people. The theme of the series reflects the choice of the people that they have selected to be part of this series. It will make people look at things from a different direction. It has great drama, great compassion, there is great identification with characters. Also there are various cultures coming together not only as doctors but as patients also. And the only religion that is in the hospital is of humanity. I can now say it because I’ve done some of it – it is going to be one of the best series on American television. Positively. After viewing this show will a doctor or a medical student maybe change their ideas about treating patients? Absolutely. Because you see change is very silent. Change displays the moment and that even if 2% people start thinking differently the change has started. So you reacting to the trailer and asking that question, change has already started. Now a cynic will wait for a visible change and an optimist will feel the change. But the change has already started with the trailer. The change also started with the people who started making it the moment they wrote the pilot. So the fact that somebody lived this life, medical director Eric Manheimer, he wrote it and you know this is somebody who lived like this. Somebody had this life. So it will change. 100% it will change. So it will change the student, the doctor, as well as the patient. There will be a sense of hope. Hope is very important in a hospital. It is a blessing. It is a blessing. Today I am off, so I just went to Central Park for a walk and to have my breakfast there in a nice open restaurant. I was working on my script. There was this Bangladeshi waiter, his name is Zahid, and he refused to take money from me. He said, “No, we have grown up watching your movies. Please don’t insult me by paying for it. I would like to pay for it.” I was very moved. It has also happened with the taxi guys also, people don’t take money. But then the point is the thought behind it because they are earning a certain amount of money and he [Zahid] must have really paid from his pocket if he is working there. But I was so moved; I asked him who all is in your family? He said, “My wife and my kids. I told them on the phone you are here,” So I said, “Okay, let’s make a video for your wife.” His wife’s name is Mehrunisa and so I said, “Hi Mehrunisa. This is Anupam and your husband is a wonderful human being not because he did not take money from me because he thought that my wife will be very happy.” So these are the small, little things, which makes a difference in people’s life. He was so moved he had tears in his eyes. I did not even expect that to happen. The magic of Hindi cinema is so amazing because we are part of people’s lives. We not just individuals with actor tags on them. 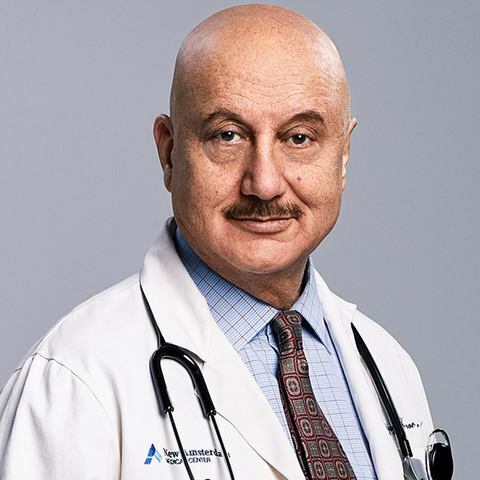 In India, the hierarchy is God, doctors and actors. First you go to God then you go to the doctor, then actors are part of everybody’s lives. We are their cousins, we are their uncles, we are their aunts, we are their parents. I think cinema in India, you know, we sometimes are called trivial – Bollywood – song and dance but NO, we are therapy for people. The song and dance is a therapy. It is a connection with people. The fact that we are part of their lives, part of their psyche, part of their culture, I think it makes it so amazing. I am thankful to God that I am an actor from India. And you know it is not just Asian or Indians. Cinema has an amazing magical connection to people. What connects with somebody is what is most important. Especially in your earlier days, because you watch a movie with a connection to the heart. Then where we go in life it becomes more important how intelligent you are or how much brains do you have, more than the heart. So the brain takes over heart and then you start analyzing cinema and that’s where you lose the joy of it. So whenever people see me on the streets of New York, I have made a connection with their heart. I must say it is a very humbling experience. I think it makes me know life through the characters I play. My acting introduces me to different kinds of people. It introduces me to new emotions. Basically there are only nine emotions in the world, but the permutations and combinations of those nine emotions can have millions and millions of out-shoots. So I think the more I know a person through a character the more richer I feel as a person. It is fascinating. How many people are there in the world who get to do what they have always wanted to do. I make my job more difficult as an actor now, so it challenges me. It also gives you a feeling of being alive as a person. Acting is going on a parallel level in my life and what that means is at this stage of life you will sort of look for security and you will look for a lot of other things – but acting has given me a different perspective about life. The whole decision of shifting to this place and doing this “struggling actor’s job”; I mean it is amazing! Meeting new people. I am right now sitting in a gym and talking to you and I have chats with strangers who do not know who I am. Most of the time over here the people do not know who I am. But that is the most fascinating part of it. I am more closer to myself than what I was 3 years back and in an objective manner, not in a subjective manner. I always admire myself because that is very important. But, because as I told you earlier, my reference point is that of a small town boy. So you always feel wow, this is a fantastic thing that has happened. The most important factor in life is to have a sense of wonder. It is always fascinating and inspiring to talk with Mr. Kher about his projects. I always walk away with a smile and renewed sense of excitement. Thank you for your wonderful compliment Mr. Kher. Be sure to watch this space, Mr. Kher also gave us a sneak peak into The Accidental Prime Minister and we will have that article soon! 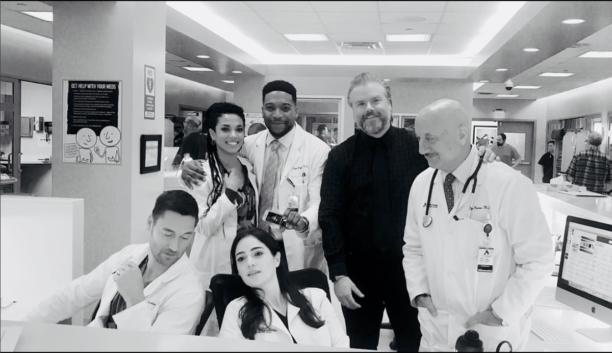 Starring Ryan Eggold, Freema Agyeman, Janet Montgomery, Jocko Sims, Tyler Labine and Anupam Kher, New Amsterdam premieres on Tuesday September 25th at 10 pm. 16 queries in 1.313 seconds.